Chapters of the Year Interview Series: Texas State! In this special blog series, we are interviewing our Net Impact Chapter of the Year winners to learn more about their chapters, plans for next year, and advice to others looking to make an impact. 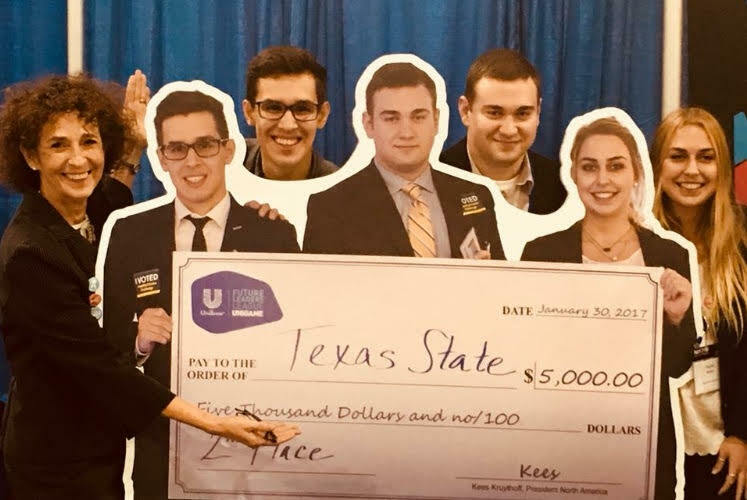 For the third time in seven years as an organization, the Texas State University, McCoy College of Business Chapter has won our Chapter of the Year Award in the undergraduate category! We are so proud of the work this dedicated and inspiring team has accomplished over the past year. What accomplishments are you most proud of during your Chapter’s past year? I am the most proud of our team that we put together. McCoy Net Impact is a very special organization that allows students to develop their talents and manage their own innovative projects and ideas. Our members always work well together and support each other when needed the most. For instance, when we were competing for the national champions in UniGame, our members got together and went all around campus to recruit votes in support of presenting team which granted us the place in the national finals. It is an honor to be a part of this group of innovative leaders of the future. Why did you first decide to join your Net Impact Chapter? I joined McCoy Net Impact because I was intrigued by an opportunity to make a real impact on my community while gathering professional skills and knowledge. The focus on student projects provides invaluable experiences for members and levitates them among their peers. Members of McCoy Net Impact can easily impress employers by the work they have done and the results they have achieved during their academic careers. Project work, research opportunities, and outstanding mentorship of our academic advisor, Janet Hale, is what brought me to our organization at the first place. What is the best lesson you have learned from your Net Impact Chapter? By participating in McCoy Net Impact, I got exposed to a wide range of ideas and speakers from different industries and professions. Our speakers range from recent graduates who just started their career journeys and want to share the first steps they are taking, to the distinguished authors and leading business experts who share best industry practices with our students. The speakers represent the diversity of ideas and professions that McCoy Net Impact members will face in the future careers, regardless of their majors. This diversity of thoughts and ideas in the world is the lesson that we try to communicate to our members and the one that I learned while being Net Impact member. How would you describe your Net Impact Chapter to someone who has never heard of Net Impact? McCoy Net Impact is a unique organization, that brings together the most talented and innovative students who work closely together producing outstanding results while making a positive impact in the community. 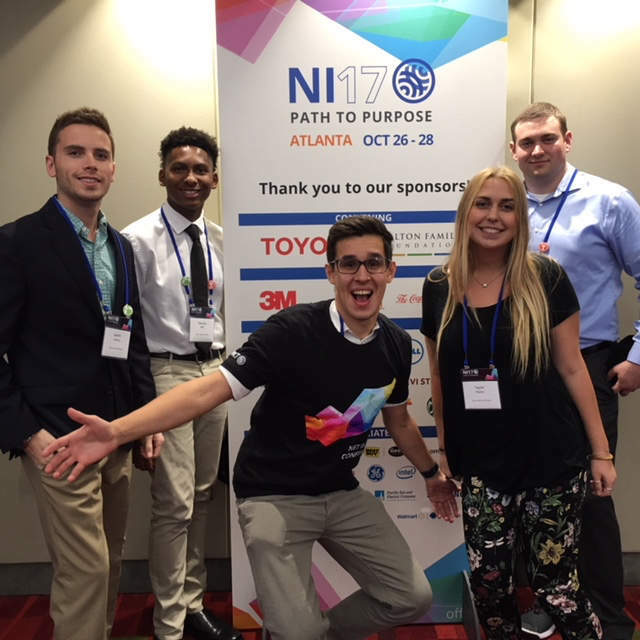 The core of our organization is the student projects, and the best part of being a Net Impact member is an ability to participate in those as well as to lead your own. I think it is a unique opportunity for a student to get a real-world exposure and generate innovative solutions to the problems facing our society. How does your Chapter plan to make an impact on campus and/or in your community this year? Our chapter is very excited for an upcoming year. Today, we are participating in the Up to Us competition and hosting events and workshops on campus to educate our Bobcats about the issue of the national debt. Soon we will be entering the Food Solutions Challenge with the purpose to educate students about the food waste and to create innovative solutions to this problem. We also plan to engage our community when conducting energy audits, competing at UniGame, taking on the Future of Energy Challenge, and working on many other projects that our members will want to do. What advice would you give to someone who knows they want to make an impact, but is not sure where to start? The best advice that I can give is to join a professional organization that will expose you to a variety of business industries and will provide mentorship for you to discover your talents. The hardest part is to start, but after you join, you won’t even notice how you get involved in a range of projects that make impact on someone’s life every day. I am inspired by people who love what they do and who strive to make a world a better place. I try to surround myself with those and want to learn from them on a daily basis. Are you looking for a student or professional organization to expose you to new opportunities and connections to make an impact? Learn more about joining or starting a Net Impact Chapter! This web site is too good which bring happiness in life …. This post is good…. Waiting for your next post….